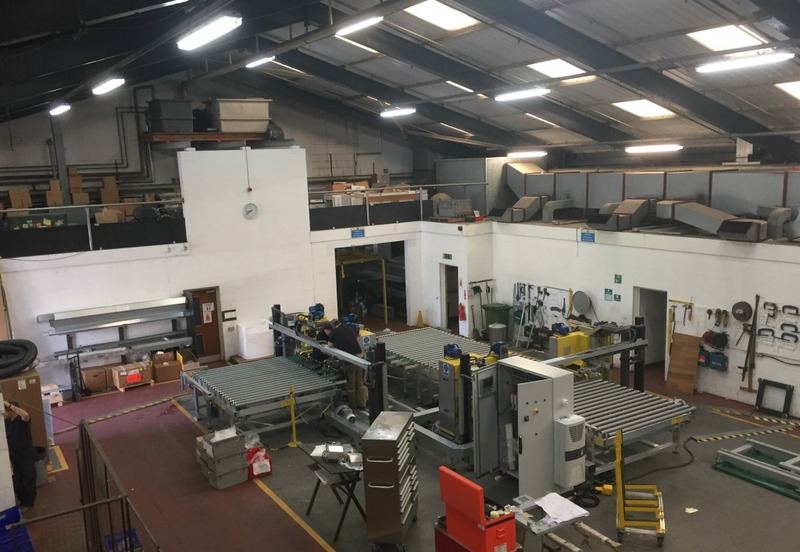 MAJOR HIGH TECH INVESTMENT IN THE WORLD’S BEST SEAMING SYSTEMS has been instigated by CEO Nick Sciola and his team at Hartung Glass Industries. Established back in 1924 Hartung Glass Industries has from the start steadily built and expanded its business and invested in leading technology to enhance its offerings, providing truly innovative solutions across the industry to Architects/Designers, Glazing Contractors, and Glass Companies generally. From humble beginnings as a small glazing shop in the industrial area of Seattle, WA, Hartung now manufactures and distributes glass to facilities that stretch from British Columbia to Indiana. 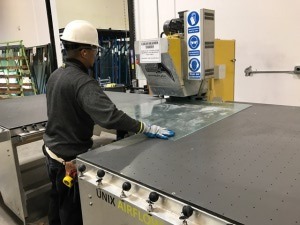 Late 2016, at the Glasstec industrial glass show in Germany, Hartung purchased the very latest Unix BoB [Best of Both] Air floatation Seamer from Ashton Industrial, since installed at the Seattle, WA facility which is home to heavy glass/shower doors. They quote, “This piece of equipment has become a favorite at this facility because of the ease of movement that it provides for the glass. Hartung’s operators are able to move glass around easily with minimal effort. This seamer provides a clean seamed edge on each piece of glass. The maintenance on this air float table is minimal compared to the castor tables used on other hand seamers at Hartung, and is extremely easy to clean”. 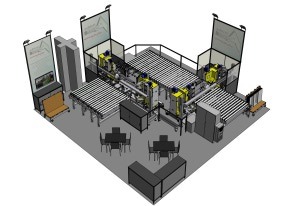 Hartung Glass was one of the first USA companies to own an Ashton Industrial SeamMaX-X™ automatic seaming line with computerized furnace batching. It offers one of the widest varieties of Architectural and Decorative Glass products available in North America. Other products produced out of their facilities include Tempered Lites (residential and commercial), Residential IG, Commercial IG, Shower Doors, Laminated Glass, Textured Glass, and a whole lot more. Over the years, Hartung has received a variety of awards, most recently the ‘Most Innovative Railing Project or Product Award by Glass Magazine in 2016’. The photograph here depicts the ‘Residential’ equipment during manufacture at the Ashton facility in England, prior to shipping. The next line, for ‘Commercial’ work and handling lites up to 200” x 110” will be shipped in Q4. Our sincere thanks to Nick Sciola for this information and permission to publish, and to Melissa Schaffer for providing the details.